Soldiers go to war. They serve their country with pride, and when they finish their time, they return home. Most of the veterans who return home are anxiously awaiting to be reunited with their families. Not only is the excitement of being in the United States again apparent but also the fear of bringing the war home. 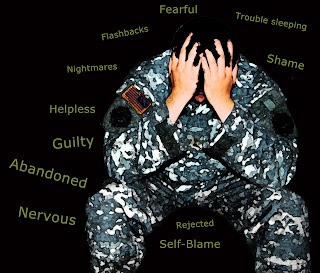 Soldiers are known to suffer from post-traumatic stress disorder (PTSD). In all the good things that surround them in life, they are constantly recollecting something that happened while they were on the battle front. These occurrences can lead to an unhealthy lifestyle, one full of worry and guilt. It can lead to excessive mental grief and great depression that can permanently resonate with a person. Post-traumatic stress disorder may seem most common in people who participate in the military, but it is also a big problem for journalists who report or capture stories in war stricken areas of the world. The assumption that journalists are not permanently impacted by the events they cover is just not true. 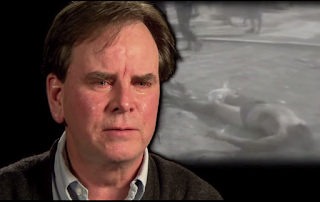 Photojournalists and broadcast reporters, who put their lives on the line to capture the news, often witness shocking sights of brutality that carries with them years after that picture was taken or the newscast has aired. War journalists have been found to have significantly more psychiatric difficulties than journalists who do not report on war. Trauma has become a major ethical issue in foreign correspondents who report in areas of conflict. There is often little to no support for these journalists and levels of stress elevate quickly, especially when someone witnesses a traumatic event. 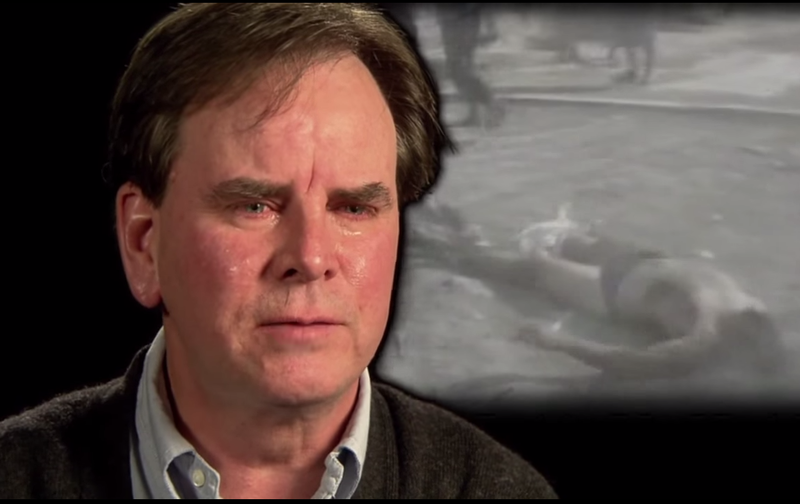 It is not uncommon for a journalist to be at risk for PTSD. They are a targeted profession, by terrorists or military from other countries. Trauma can form through many ways by means of primary or secondary sources. A journalist could experience a terrifying event firsthand, taking a photo to capture the moment or catching the event on camera. Secondary trauma also could occur, where journalists interview someone who has gone through a traumatic event and through empathetic engagement, they associate the interviewees trauma as their own. Foreign correspondents may not realize at first that what they have gone through would be viewed as traumatic. At first a journalist sees the excitement of reporting in a war and how thrilling it is being in the middle of the action. Eventually, though, as they have had time to reflect most journalists become emotional and strain to recall what they saw on the battlefield. After a study that was taken in 2002, the lifetime prevalence of PTSD among journalists was very similar to that of a veteran of war, at around 29%. Full cases of PTSD are possible among journalists, but not as common as other psychological issues. These include anxiety, depression, social dysfunction, insomnia, and stress. Even though these issues don't seem as intense and may not control a person's life, they are still very serious and should be considered respectfully. It turns out that war reporters are not the only journalists who can suffer mental health issues. Growing research has pointed out that journalists who are exposed to trauma secondhand are at a greater risk of developing psychological symptoms then those reporting on scene. These journalists include those who sort through images and watch videos to decide what should and should not be published. Photos and videos can leave quite a big impact on a person. A journalist finds elements in them that they can relate to their own life, such as a target on children. This increases anxiety levels, not high enough to be considered as PTSD, but still sticks around with a person long after examining the image. War correspondents and photographers who view disturbing material day after day eventually are said to become desensitized by it. On the other hand, journalists whose job requires them to view graphic material frequently, but for short periods of time are more likely to develop distress. Over the years society has labelled journalism as the field of work that is known to associate with traumatic events. Exposure to these events have become part of the job description. Journalists used to think that if they acknowledged that the experiences they faced while reporting had the potential to affect them long-term, the public would view them as weak and incapable among other reporters. 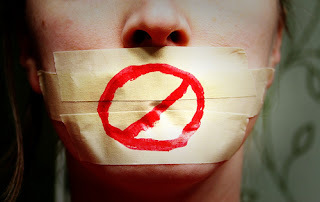 Most cases of psychological distress among journalists are left untreated because of the "culture of silence" that has been formed by journalists, themselves. Journalists don't want to be viewed as weak. If they admitted that covering a story has caused them increased stress, it would be seen as a sign of incompetence. Reporting war stories can also be viewed as a reputation booster-- there is the pressure to take on an assignment and then stay with the story until it has been resolved. One major thing that keeps reporters quiet when it comes to expressing psychological issues is the comforting excuse of, "There is no way I was affected. My camera protected me" or "I am not stressed out; I've been too busy to be stressed out over what's been going on." Hiding behind these menial excuses only conveys the idea that a journalist is in fact suffering from psychological distress. Trauma is seen as an end to someone's career. To get rid of that idea, it needs to be acknowledged that it is reality and a concern for many people. Newsrooms should make information and training available before and after a journalist takes on an assignment that has the potential to create trauma. This would better prepare them for the scenes that might unfold while reporting. To those who refuse they have any symptoms of PTSD, they should be monitored by other colleagues and by themselves. Above all else, though, there needs to be a sense of respect for those who have acknowledged they have a problem. They are not to be dismissed. They are not to be rejected. They are to be guided and supported by the news community to help them make a full recovery. If I could describe the number one thing a news organization should be to someone experiencing trauma in one word it would be understanding. Also patient and sympathetic. But mostly understanding. The road to recovery is rough, but fighting it alone is an even tougher battle.